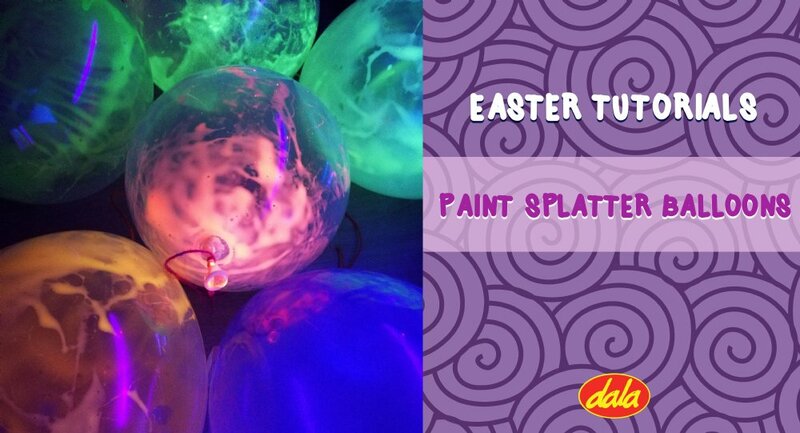 In this easy tutorial we show you how to make super simple Easter decor using clear balloons and neon liquid tempera paint! Even more fun if you have a UV / black light. 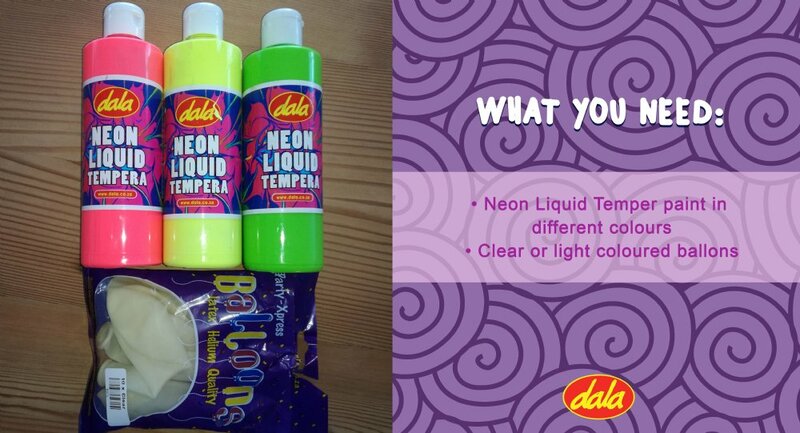 This tutorial uses Liquid tempera but this method will also work with Dala's Glow in the Dark paint! 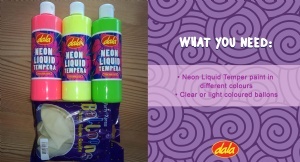 Bright, classic coloured paint could also be used in place of neon paint. 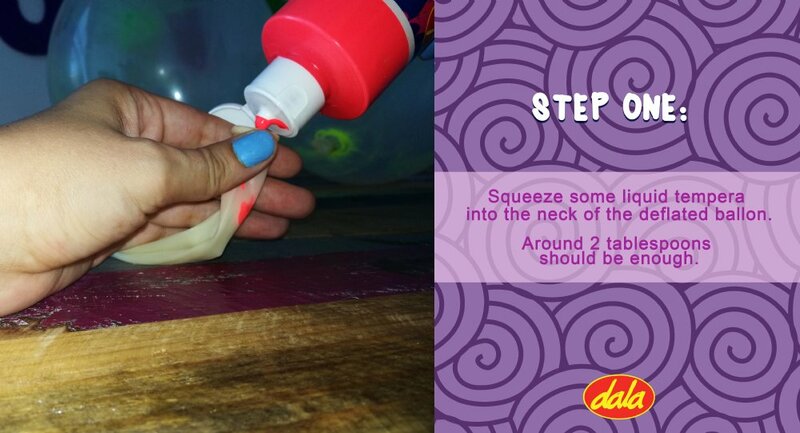 Squeeze some liquid tempera into the neck of the deflated ballon. Around 2 tablespoons should be enough. 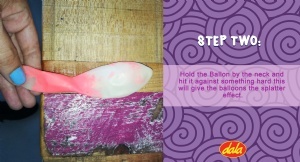 Hold the Ballon by the neck and hit it against something hard this will give the balloons the splatter effect. 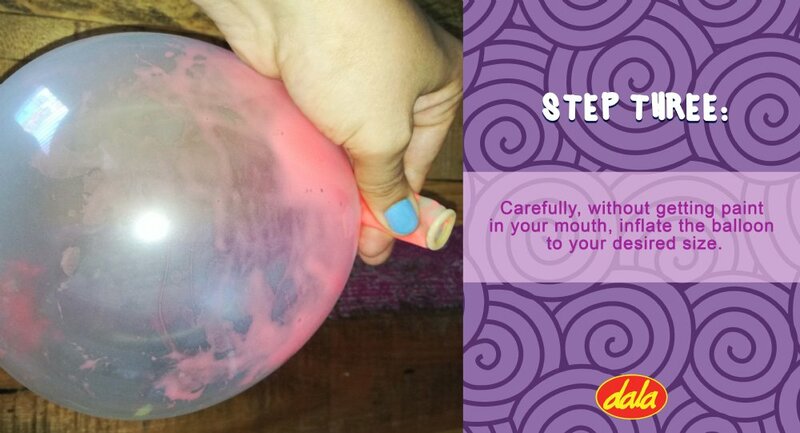 Carefully, without getting paint in your mouth, inflate the balloon to your desired size. Repeat with more balloons, until you have a lovely pallete of colours. 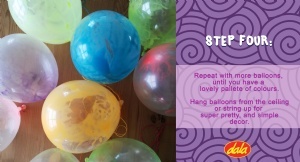 Hang balloons from the ceiling or string them as a garland for super pretty, and simple decor. Place the balloons under a UV / black light for an awesome, luminous effect. 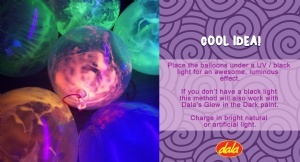 If you don’t have a black light this method will also work with Dala’s Glow in the Dark paint. Charge in bright natural or artificial light. This item has 537 views.